It has been over a year since the 2013 sequestration budget cuts hit Head Start administrators with a limited set of choices: lower costs for Head Start by reducing staff and available spots for students or shut down. However, as many schools discovered, there was another option. Many administrators took a look at their existing budgets and decided to take the road less traveled and learn how to better manage Head Start purchases to cut expenses instead of cutting staff or spots for students. Quite a few schools were able to effectively lower costs for Head Start and stay open through programs like SupplySource Plus that work to reduce office supply costs by using the bulk purchasing power of a discount supply source network of other human service programs. Unfortunately, there were still some who were not successful in their bid to stay open. Quite a few locations across the country are just now coming back online well over a year later to begin preparations for the 2014 fall school season. A quick look at your monthly, quarterly or annual budget will reveal that a bulk of the regular expenditures for food supplies and office supplies could stand to be reduced. 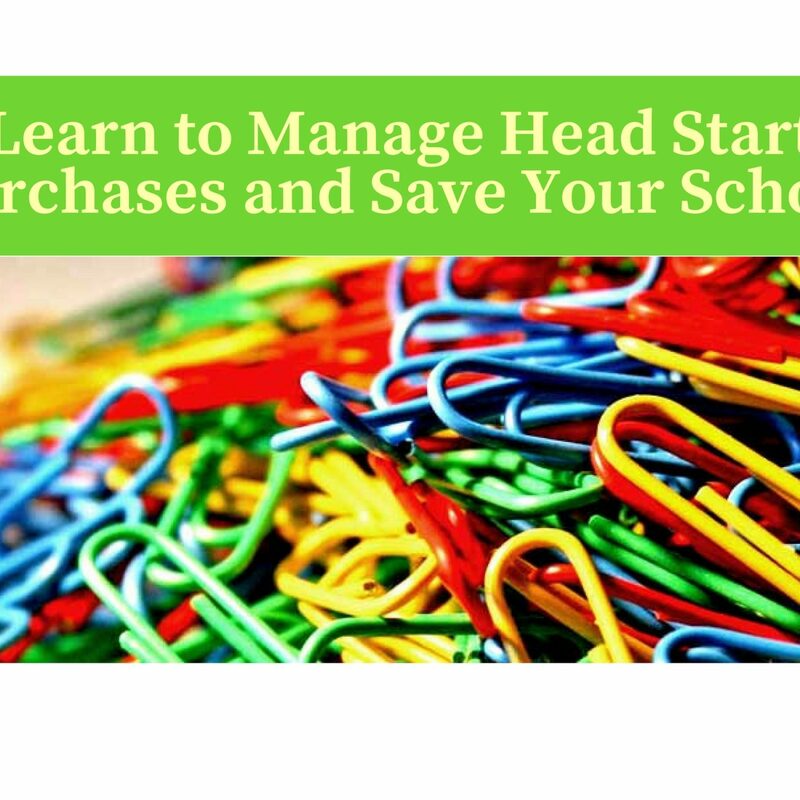 Many administrators are overworked and simply don’t have enough time to do a complete audit of their purchasing habits to make sure that they reduce office supply costs and cut waste through a better way to manage Head Start purchases. SupplySource Plus begins their FREE service to non-profit human service programs like Head Start by conducting a complete cost analysis of spending for office and food supplies. Our team of professional purchase managers and consultants can help you to make smarter purchases, reducing your annual budget by as much as 10-35 percent. When the federal government’s sequestration cut of eight percent hit Head Start programs, many were unable to turn things around and recover. Preparing ahead of time for possible budget cuts that could still come in a downturn economy by working with a discount supply source can help your Head Start program to be ready to respond in a positive manner. ADVISORY SERVICES – Our team will do a complete review of all your operational costs, including office and janitorial supplies, administrative expenses for accounting, background verification services and more. Our team will advise you on all of the different ways that you an save money through participation in the SupplySource program. Participants can reduce office supply costs, administrative costs and even food supply costs through our FoodSource Plus sister program. NEGOTIATION SERVICES – One of the reasons why Head Start programs benefit so much from using our discount supply source program is that they can have the ability to negotiate better prices through the mass buying power of our multiple member network. We work with vetted vendors who guarantee participants will receive the best prices to help lower costs for Head Start programs. We can help with one-time large purchases and help manage Head Start purchases for the things you need on a monthly or quarterly basis. MANAGEMENT SERVICES – Our team will also help you to manage your supply and purchasing chain in-house to ensure that you are not buying more than you need and that you always get the best price for the things that you purchase. We evaluate and streamline your entire purchasing process to help you be more efficient and reduce office supply costs and other services that can add up quickly and impact your budget. In addition to helping administrators manage Head Start purchase and reduce office supply costs overall, SupplySource Plus also embraces good business practices and environmental awareness, aspiring to be a company that is always environmentally conscious. We use sustainable business practices in all areas of our business operations and promote the same principles to the partners we serve and the vendors we work with as suppliers. Our team believes that being green is more than just expressing values that are good for the environment, but also about making choices and having attitudes that are positive as well. It requires a daily commitment to sustainability and practice that can occur in every aspect of our business. The values and attitudes embraced at SupplySource Plus are reflected in the work that we do to help reduce office supply costs and manage Head Start purchases in an efficient manner by reducing the amount of waste that occurs on a daily basis. We believe that businesses can work with the environment rather than simply consuming resources, enabling them to succeed, lower costs and ensure a better future for us all. Our commitment is more than just to the idea of acting as a discount supply source manager, consultant and coordinator to our clients, but also to the environment. As our client list and list of vendors grows, we will continue our efforts to be socially and environmentally responsible, encouraging those we work with to do the same. To start saving money and lower costs for Head Start right away, contact SupplySource Plus and set up an appointment to get our free cost analysis. Our team of specialists will help you to manage Head Start purchases for everything you need to run your program and connect you with discount supply source vendors and service providers to help you get the best price possible, while providing a quality level of services to your program participants. Let SupplySource Plus help you reduce office supply costs and gain control over your budget to help you prepare for whatever future cuts might occur. Give us a call today to set up an appointment so you can start saving 10-35 percent each year on office and food supply costs.